You might not be using the right face wash. Things happening right now: sweater weather, fun holiday lattes, and dry skin. Okay wait, I’m not excited about that last one. As the air temp drops, so do humidity levels, which zaps moisture from your skin cells, says dermatologist Shari Marchbein, M.D. Combine that with wind and indoor heat (both deplete your protective barrier, making it harder for skin to stay hydrated) and your risk for dryness, redness, and flakiness increases. 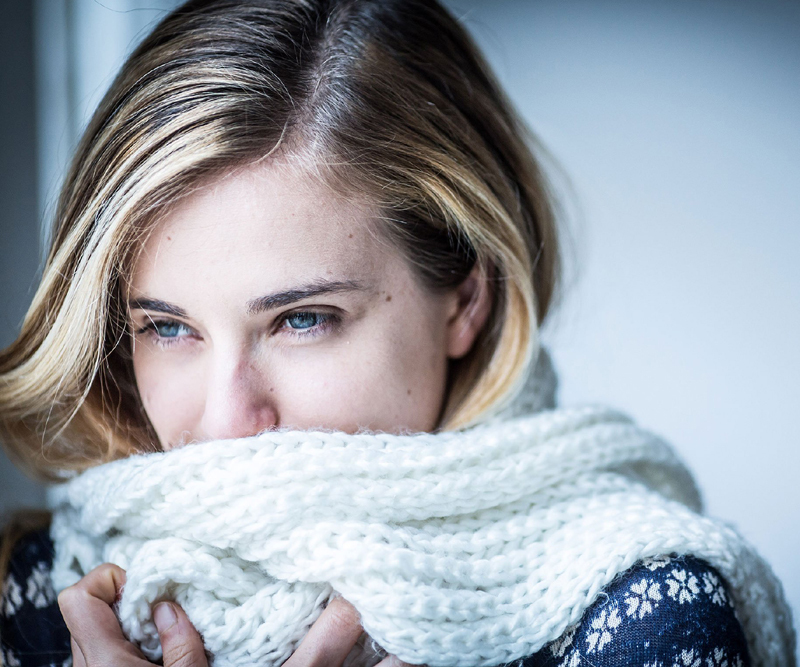 And if you’re prone to eczema or rosacea, winter weather can exacerbate those conditions. But you can ensure your skin stays soft and smooth all season long—here's how. Invest in a humidifier. Jaliman says this will help keep moisture in the air and prevent the conditions that lead to dry, flakey skin in the first place. It’s especially helpful to sleep with one on overnight, when skin is doing its deepest restorative work. The Pure Enrichment MistAire Ultrasonic Cool Mist Humidifier gets crazy-good reviews on Amazon. Keep skin covered when you’re out in the cold. I'm talking scarves, hats, gloves, etc. Wind combined with cold temperatures can rapidly dry out exposed skin. It also helps to wear natural materials like cotton, says Jaliman—synthetic fabrics can itch and irritate sensitive skin, drying it out in the process. Skip long, hot showers and baths. Sorry to be a bummer, but they deplete your skin’s lipid layer. “Keep the water temperature warm and the length under five minutes,” advises Marchbein. Pat, don’t rub, skin dry with a cotton towel, and immediately apply your body cream while skin is damp for maximum absorption. Use skincare products with harsh active ingredients sparingly. Acne meds and anti-aging serums with powerful ingredients like retinol can have drying side effects, says Marchbein. Limiting use to every other day can help mitigate flakiness. How To Treat Dry Skin If Flakes Are Already An Issue. Switch your lightweight moisturizer for one that has ingredients like shea butter to lock in hydration. PCA Skin HydraLuxe Intensive Hydration has both, plus adaptive hydration technology—code for a flexible lipid layer that tightens and loosens with changing humidity levels to ensure your skin gets the ideal amount of moisture from the surrounding air. ...And swap out your foaming face wash for a lotion-based formula. Foaming washes often contain drying components called surfactants that mess with your skin's barrier. Options like Neutrogena Hydro Boost Gentle Cleansing Lotion will still remove the day’s makeup and debris—without overstripping skin. For body skin, look for rich creams. Think: the kind that stay in the jar when you turn it upside down. Jaliman loves Bareminerals Butter Drench Restorative Rich Cream (amazon.com). “This product is great because it has shea butter, which is extracted from the nut of the African shea tree—plus no parabens,” Jaliman says, which can irritate and dry out skin. Treat hands with ingredients like glycerin and chamomile. They're among the most stubborn areas to treat, but these ingredients are up to the task. “Glycerin is a humectant that draws water from the air into skin’s outer layer, and serves as a protective layer that helps prevent moisture loss,” explains Jaliman. Chamomile, meanwhile, is great for dry skin and eczema because of its anti-inch and anti-inflammatory properties, she adds. Try Aquaphor Advanced Therapy Healing Ointment (amazon.com).